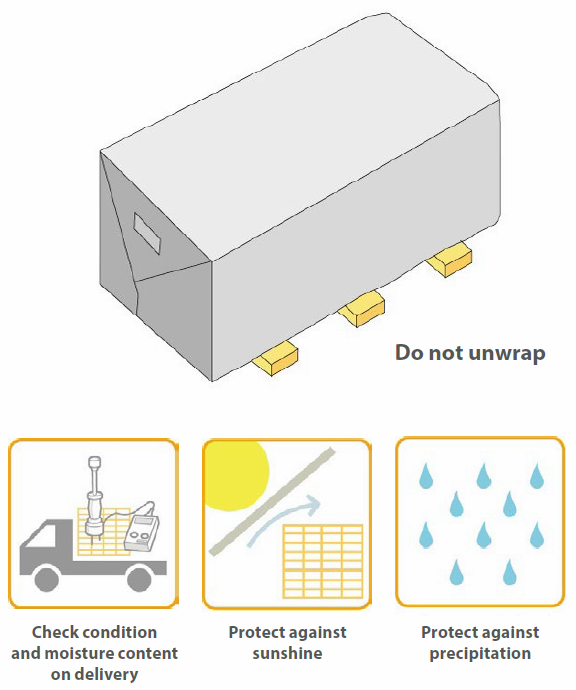 Recommended maximum moisture content for timber/timber products at the point of installation. 1May only be available by special order. 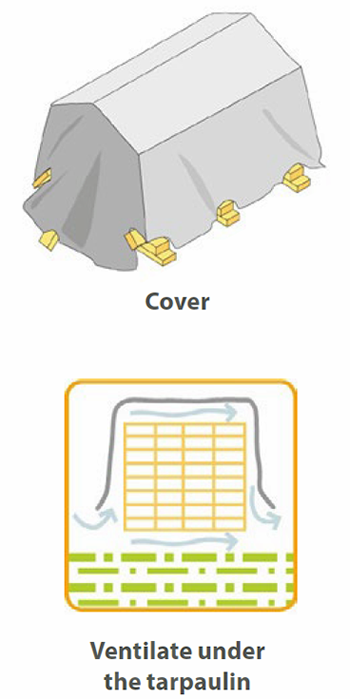 Pay special attention to maintaining moisture content. 2Seek manufacturer’s advice for buildings with continuous or underfloor heating. NB: Keep timber waste in a specific recycling container. Keep preservative-treated or fire-treated timber waste separate. 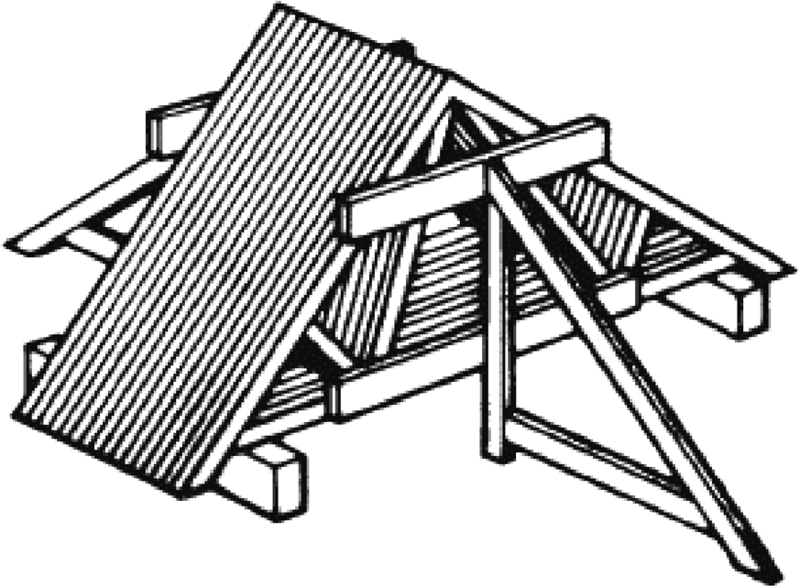 Advice on stacking and handling wood products safely is available from the Health and Safety Executive (www.hse.gov.uk). 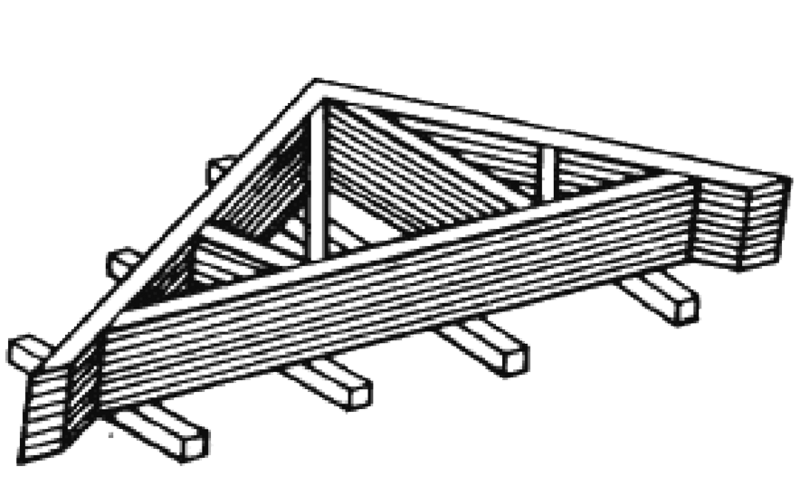 Information on the care of trussed rafters can be found in the Trussed Rafter Association’s Technical Handbook and its Product Data Sheet No 3: Guidelines for the Storage and Erection of Trussed Rafters (www.tra.org.uk). For further information on storing timber, contact the Timber Trade Federation (www.ttf.co.uk).